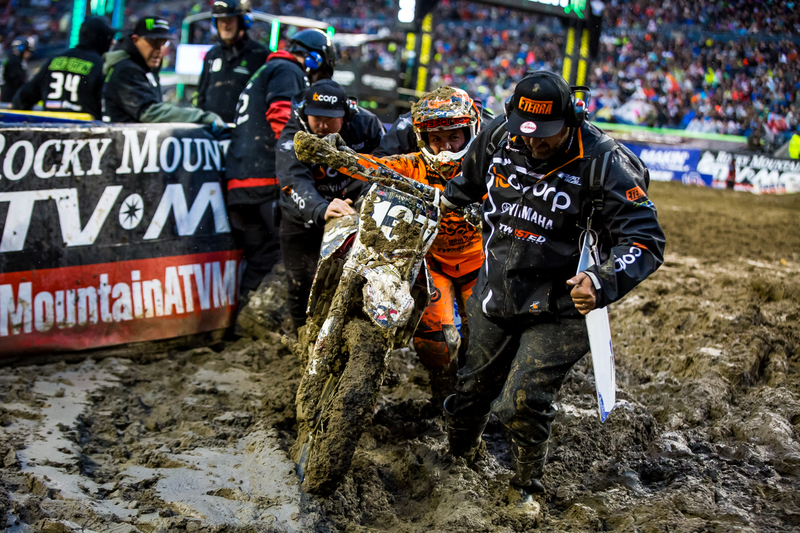 Jason Anderson led most of the 450 Supercross main event in Seattle last year before a small crash allowed Eli Tomac to slip by. 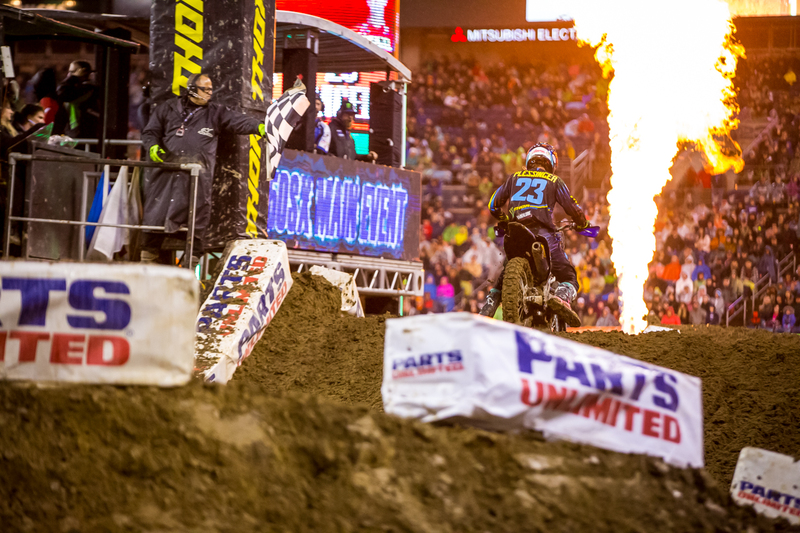 This Saturday, March 22nd, the Monster Energy Supercross series will be in Seattle, Washington for the twelfth round of the 2019 Supercross season. 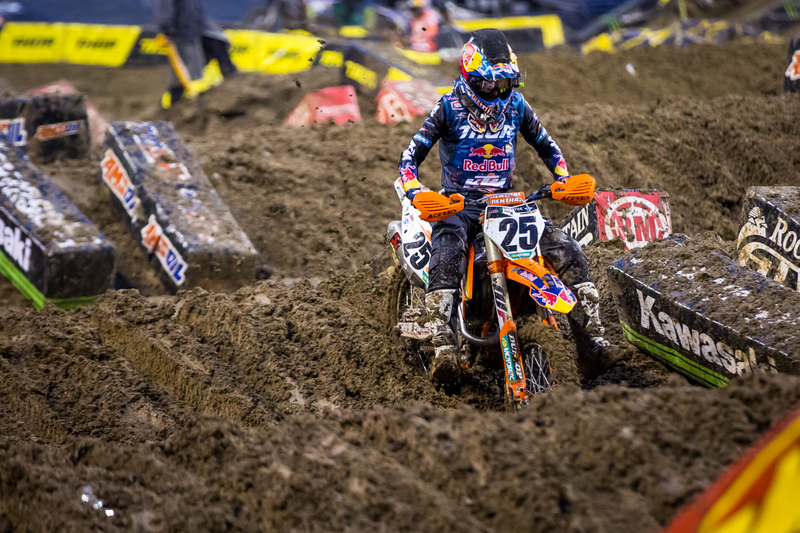 The Seattle Supercross track is known for being soft and muddy, but luckily for us, the weather forecast is looking good so far in Washington. Currently Weather.com is reporting that Saturday will be mostly cloudy with a high of 57 degrees. Hopefully, the rain stays away, but either way we’ll be there capturing the action. 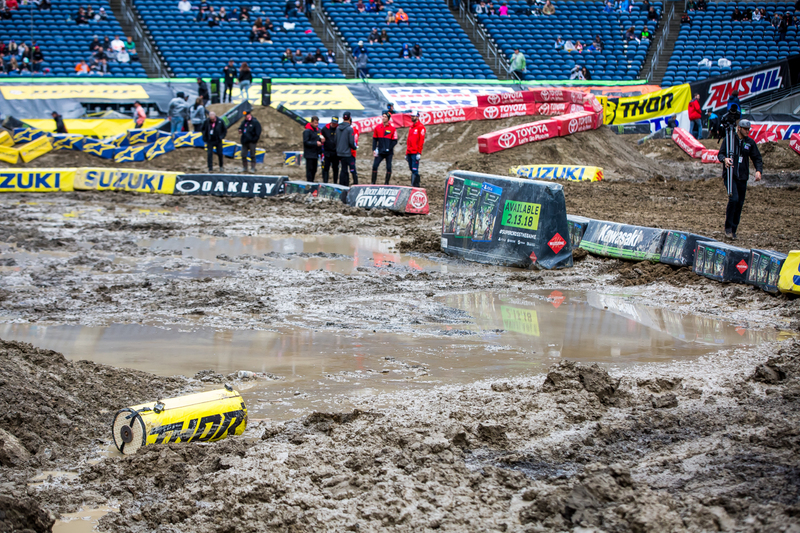 While we prepare for race day, we are revisiting the 2018 Seattle Supercross with these highlight videos to remember the muddy mess that it was. Coming into round twelve Cooper Webb has a fourteen point lead over his teammate Marvin Musquin who currently sits second in the Championship standings. Eli Tomac is third, twenty-one points behind and Ken Roczen is fourth, twenty-seven points back. Seattle will also be the return of the 250 West Class. After three weeks off, Adam Cianciarulo, Dylan Ferrandis, Shane McElrath and the rest of the West coast 250 riders are excited to get back to racing. With Adam’s 250 East/West Shootout win in Atlanta, he now has a fifteen point lead over Dylan Ferrandis who is second, a seventeen point lead over Shane McElrath and twenty point lead over Colt Nichols. It was a mess. Multiple riders got their bikes stuck when they went off the track. Marvin Musquin tip-toeing his way through a rhythm section. 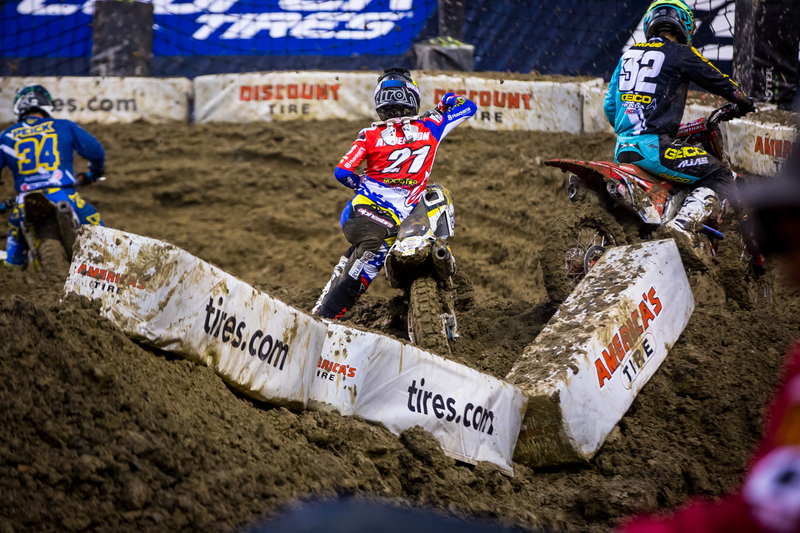 Aaron Plessinger rolls over the finish line as he wins the 250 main event. 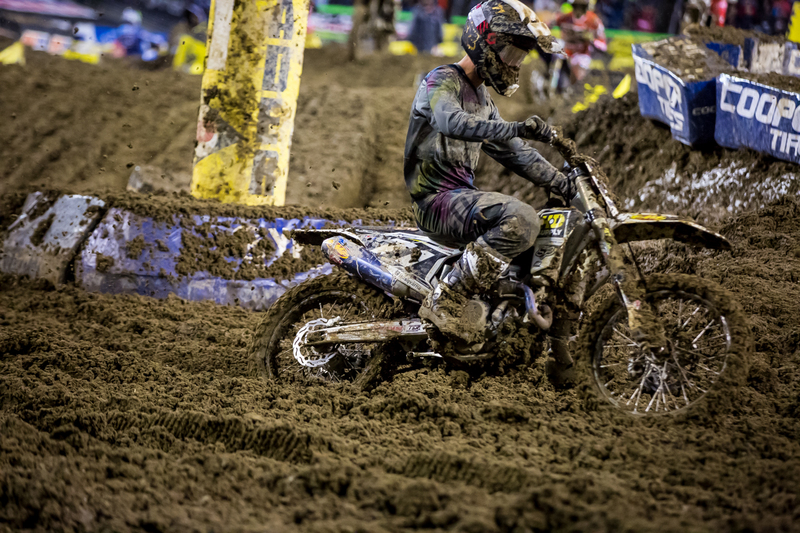 Our Assistant Editor Josh Mosiman raced in Seattle last year and qualified for the 250 main event. Martin Castelo, Jamie Ellis and Kris Puffer trying to push Martin’s bike off of the track. It was harder to get your bike to and from the track than it was to actually ride it on the track last year.